Home/Blog/Ladies, Spring is Coming! How Do Your Heels Look? It’s time to break out your favorite sandals. Now that spring is approaching and you’ll be walking around barefoot at the pool before long, it’s time to start repairing your dry, cracked heels. Women everywhere complain about the appearance of their heels, but are unaware of the root of the problem. Most women’s unsightly heels are caused by dryness of the skin or calluses that crack and break under pressure because the skin has lost its elasticity—this much is obvious enough. But what causes the dry skin and calluses that crack to develop in the first place? Sometimes it’s just genetics, but standing for long periods of time on hard floors, wearing ill-fitting shoes, low humidity, circulation problems, hormonal conditions, and vitamin deficiencies can all be factors of the less than satisfactory appearance of your heels. With less than three months until the pools open, what can you do to fix the dry, cracking skin on your heels? The quickest way to avoid embarrassment related to your feet is to visit your podiatrist, who can safely remove dry skin and leave your heels looking better than ever. A podiatrist can teach you what creams are best for your skin type and give you expert advice as to whether or not your cracked heels could be caused by a more serious condition (such as diabetes or a thyroid problem). If you are experiencing bleeding from the cracks in your heels, your podiatrist can also teach you how to strap your heels together with sports tape to hold the cracks together while they heal. 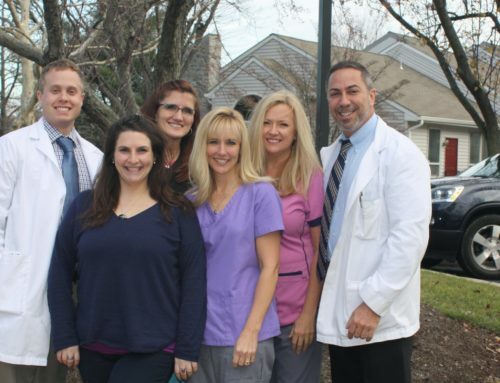 Dr. Lefkowitz is Doylestown’s leading specialist in foot and ankle care, and making an appointment at Quality Foot Care can ensure that your feet look and feel great this spring. Call 215-230-9707 today, and you will receive the treatment you need as well as expert advice for proper home care.